You know how much we (and by we I mean me) love Gamma World here at Podcast at Ground Zero. 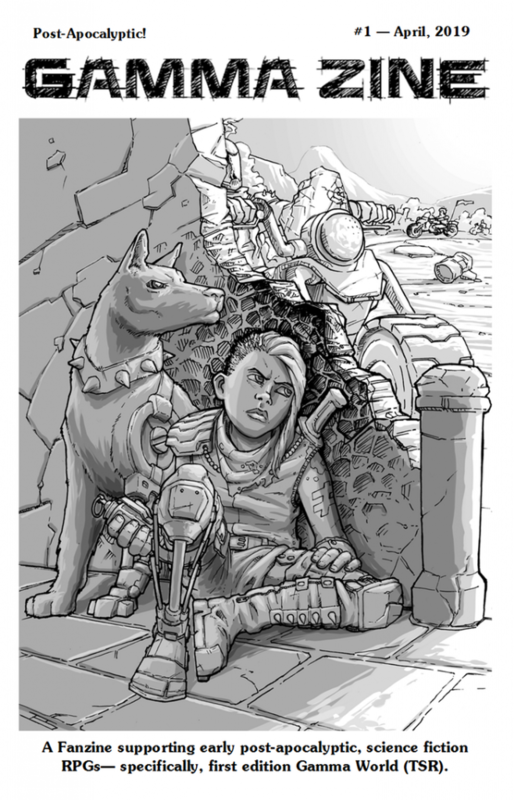 There is Kickstarter going on right now for a 1st edition Gamma World fanzine. It’s called Gamma Zine Issue #1 and it’s part of Kickstarter’s Zine Quest Initiative. So go to Kickstarter right now and support Thom Wilson and Gamma World. An excellent spot, good sir. Funded!